MJ+ on a thin client? 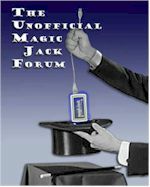 Posted: Sun May 13, 2012 5:03 pm Post subject: MJ+ on a thin client? Silly question, but does MJ+ work okay on a thin client? With all the issues with dropped incoming calls lately, I wanted to look into this as an option.